Choosing the wedding music for your big day? Whether you are going with DJ Ipod or a full swing band to provide the musical entertainment, let us help you make the choices that are right for YOU. The songs that will reflect who you are as individuals and who you are as a couple. Music that will honor your background, culture and religion. Click Here to start planning your music for your ceremony from your walk down the aisle to your postlude. 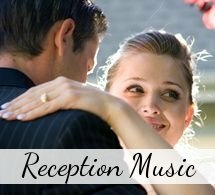 To plan your reception wedding music from your cocktail hour to your last dance Click Here. 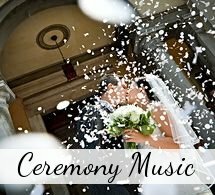 Why Plan The Music For Your Wedding? The music you choose for your wedding day will create the mood and set the tone for every single part of your big day. The best wedding music usually consists songs that form a beautiful, memorable and personalized soundtrack to your day. For years after the wedding, those special songs you are now choosing will bring back memories of your wedding day. The most memorable marriage celebrations are those at which everyone, young and old have a great time and where there are many emotional highs. From the tears shed at the ceremony to the fun on the dance floor. There is no better way to ensure your big day is full of emotional highlights than to plan your music well. * How to theme your wedding day music. * 12 Tips & Ideas to keep your guests dancing all night long. * Tips on how to WOW with your first dance. * Ways to end your night on a high. * How to make a slideshow you'll be proud to show at your reception. See your wedding day as a movie you are directing. Plan the scenes one by one and choose the right musical score. Browse the links on the left or above to find which part of your nuptials you want to work on, or start at the very beginning. On every page you will be able to listen to all the songs, and then to download them instantly. Have fun! 2. 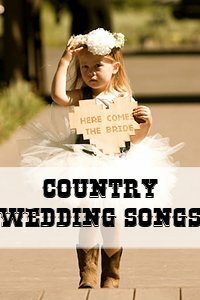 Like us on Facebook where we share songs we come across (that might not be on the site) that would be great for weddings as well as videos of ideas to steal and use in your own wedding. 3. Don't like RSS or Facebook? Then bookmark our Wedding Music Blog to stay up to date with any updates we make. 4. More of a visual person? Follow us on Pinterest for some music and entertainment ideas as well as ideas of how to create artwork out of your wedding song after the wedding day is over! 5. Prefer Twitter? Yes, we also tweet about updates, cute things we come across and unique songs that we think would be great for weddings. Follow us on Twitter. Do you love the Twilight books and movies? 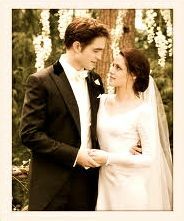 Infuse your wedding with some vampire romance by using a song from the movie. Find out Here what would be appropriate. Looking for a first dance song that has not been overused? Something that came out in the last few years? 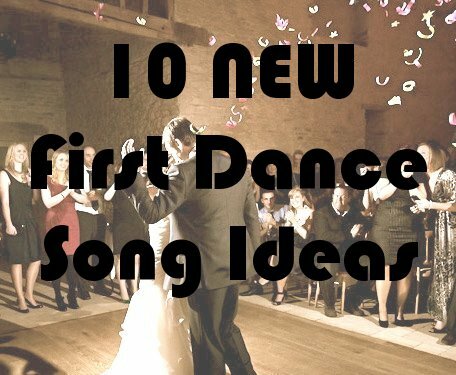 Here are our Top 10 New First Dance Songs.